Overlay Drawers are used to expose additional UI elements needed for small secondary tasks for which the main UI elements are not needed. For example in Okular Active, an Overlay Drawer is used to display thumbnails of all pages within a document along with a search field. This is used for the distinct task of navigating to another page. 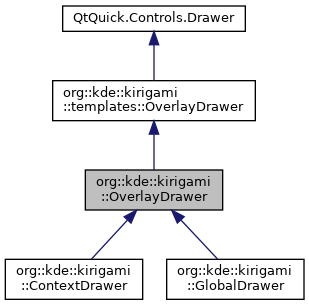 Definition at line 31 of file OverlayDrawer.qml.